Holiday SCRIP orders are happening now! Winter is certainly “the most wonderful time of the year!” But oh dear, is it busy! A great way to multi-task during the holidays is by shopping while raising money for Mount Madonna School (and maybe humming along to your favorite holiday tune)! By purchasing Scrip gift cards you can help MMS earn from 2%-20% cash back without spending any extra money! Planning on giving gift cards to friends, family, or employees? Our Scrip order form makes it simple and fast. You can order online or fill out the order form, write your check payable to Mount Madonna School (you can also pay by cash or PrestoPay – see instructions below). Note, the order form has a more extensive list of participating merchants to choose from; take a look! Submit your order by 12/4 and it will be ready for pick up or delivery (via Santa’s Little Helper i.e. your student!) by 12/14. If you don’t make the 12/4 order it’s not too late! We do have some cards in stock at the school. Choose from stores such as: Target, REI, See’s Candies and Home Depot. You can even purchase cards from your favorite grocery stores like Safeway, Nob Hill and Whole Foods. If you plan on traveling, purchase gas gift cards or airline gift cards (from Delta Airlines). The beautiful thing about using Scrip during the holidays is that your gift reaches more than just one recipient; it is shared by all of our students at MMS! Questions? Please contact Deana Woodrow at 408-668-4895 or [email protected]. Keep the Scrip Spirit Going into the New Year! 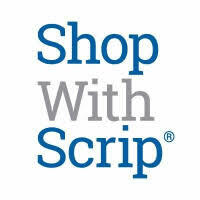 Sign up online and start shopping with hundreds of national merchants at www.shopwithscrip.com. Pay with a check to MMS office or link your bank account to PrestoPay to print gift cards straight from your computer and have the ability to use the mobile browser at Myscripwallet.com for instant purchases of gift cards. Email [email protected] for enrollment code. Click “join a scrip program” then click “register” again and follow steps 1 through 5 to complete your enrollment. Your gift cards will be ready for pick up from the school office or can be sent home. Click “PrestoPay” and fill out the form. Once enrolled you will receive an approval code that you will forward to [email protected]. We will then send you a confirmation and you can start shopping!